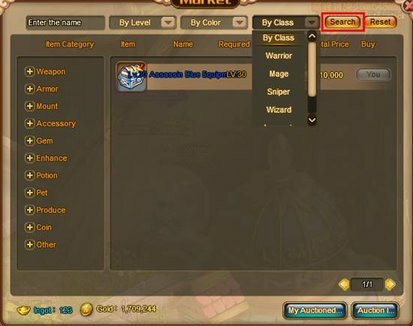 By clicking on the 'Market' button on their interface players can access the Auction system. Here players can search for items they wish to purchase via the search bar or by using one of the available categories. Players can also choose to sell items by placing them up for Auction for either 12, 24 or 48 hours.